Korean companies have been selected for the maintenance of F-35 stealth fighters, the acquisition administration here said Tuesday. 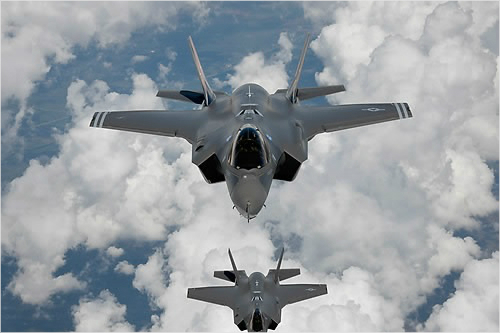 According to the Defense Acquisition Program Administration, Ellen Lord, US undersecretary of defense for acquisition and sustainment, has announced that a consortium of Korean defense companies, Team ROK, has been officially selected for the maintenance of F-35 stealth fighter parts. Team ROK consists of Hanwha Systems, Hanwha Corp./Machinery, and Hanwha Techwin -- now merged into Hanwha Aerospace Co. -- Korean Air, LIG Nex1 and Hyundai Glovis. ROK stands for South Korea's official name, Republic of Korea. DAPA said the US government reviewed proposals from countries that took part in the joint development of the warplane and countries that purchased them via Foreign Military Sales. According to DAPA, Team ROK will tackle the maintenance of three of 17 parts: avionics, electronic/electronic mechanical and egress. As DAPA is working to reform the arms industry structure to gain competitiveness in foreign markets, the selection on Tuesday will set an example for cooperation between the government and the defense industry, the administration said in a press release. “It fell short of expectations when we only won one part (egress) in the first round of the contract in November 2016. But DAPA and companies worked closely together in the last two years, and we were able to expand the area of business,” Defense Acquisition Minister Wang Jung-hong said.